The Big Band Era. Swing. World War II. The optimism of post-war America. This was the culture and times in which Vaughn Monroe lived and worked at the height of his career, and which his contributions had a hand in shaping. 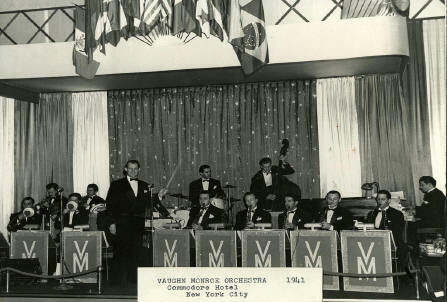 For those of us too young to remember, Vaughn Monroe was one of the popular male vocalists to come out of the big band phenomenon. He had a rich baritone voice that he used masterfully. He played trumpet and trombone with the same virtuosity. 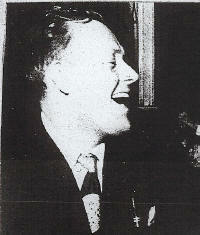 His 6-foot frame and likable personality put him out in front of the orchestra and behind the baton. 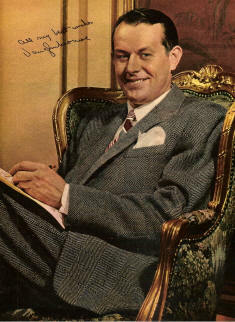 Many a young couple fell in love to Monroe's crooning of some sentimental melody. The list of his hit songs is as long as the memories that his music invokes for those of us who were there. 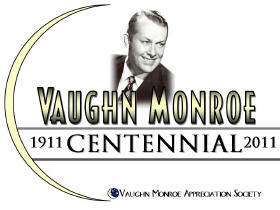 Vaughn Monroe has to be the most popular singing bandleader there has ever been. 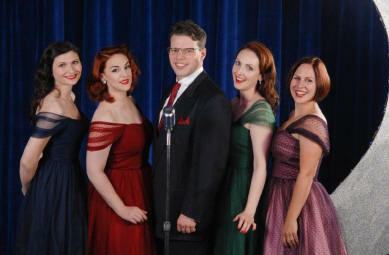 There have been numerous bandleaders who have sung, and been blessed with good voices, but regardless of their abilities, their vocal offerings came second to their conducting fame. 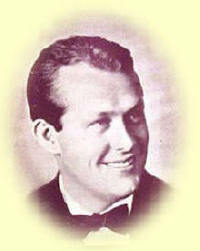 Vaughn Monroe was the exception -- a bandleader who, in the public perception, was first and foremost a singer. "The Vaughn Monroe Collection" 2CD set - Flare U.K.
NOTICE: For those of you on Facebook, there is a new Facebook Group created by Bill Kent dedicated to Vaughn Monroe. It is a public group, meaning all posts are viewable by anyone, the group will appear in your public profile, and your posts/likes/comments will appear in your friends news feeds. You must have a Facebook account to access this group. Dedicated to perpetuate the memory and music of one of the foremost American baritones and bandleaders of the 20th Century. Search for songs on all of Vaughn's commercially available CDs.